You'll still be able to buy them for currency earned in-game. Heroes of the Storm's time as a competitive esport might be over, but there's still life in the MOBA. The next patch, which launched on the Public Test Realm on March 18, is a big one, kicking off a new event and quest chain, expanding hero roles and getting rid of paid loot boxes. Loot boxes—or loot chests, as Blizzard calls them—can no longer be purchased with gems. 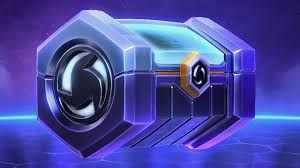 That's Heroes of the Storm's premium currency, purchased through the shop or occasionally doled out in small amounts every 25 levels. When the patch goes live, you'll only be able to use gold earned by playing the game to purchase future loot boxes. The expanded hero roles, meanwhile, splits heroes into tanks, bruisers, supports, healers, melee assassins and ranged assassins. Blizzard explained the changes and what each role means in a recent blog post. The goal is to make it clearer what players can expect when they pick a hero from a particular role, which has become harder as the roster has expanded. Caldeum Complex is the latest event, smashing together the equally excellent themes of dragons and cyberpunk. Chromie is a hacker and anti-corporate artist, and she leads a criminal gang. Players will need to help her prevent a cataclysm and take on the megacorps by completing objectives during matches, like winning games in a specific role or destroying forts and keeps. Check out the patch notes here. It will be in the PTR until March 25.